The Southeast Florida road trips and scenic drives recommended by Florida Backroads Travel are off the beaten path, even though some of them are in urban areas. 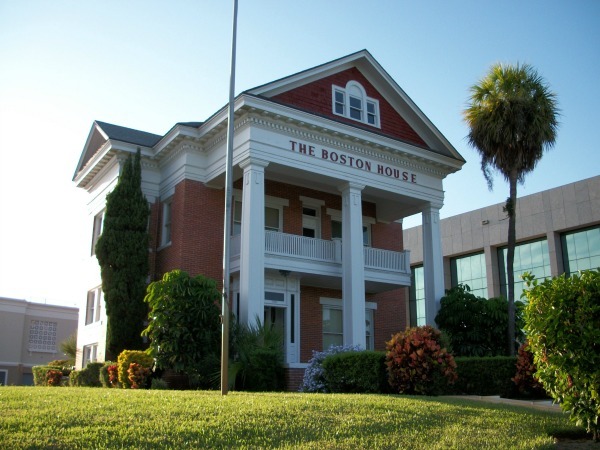 We will show you routes that have changed less over the years than most neighborhoods in this most urban of all Florida regions. I-95 is the the north-south interstate. It comes into Florida near Fernandina Beach and shoots down the east coast to Miami. It not only funnels northern tourists down the coast of Florida, it is used extensively for commuter traffic in the Florida urban areas. I-75 also comes into Southeast Florida from Naples to the west and turns south where it ends in Miami. There are times during heavy commuter hours when both I-95 and I-75 are jammed up. You don't want to be there then. The Florida Turnpike is a major toll road that also runs north-south and terminates in Miami. It does have a fork that branches off south and west and heads towards the Keys. Since it is a rather expensive toll road, it is slightly less jammed up and crowded than the interstates that serve southeast Florida. Like everywhere else in Florida, the interstate exits are congested with traffic getting on and off to visit the many gas stations, fast food restaurants and motels. 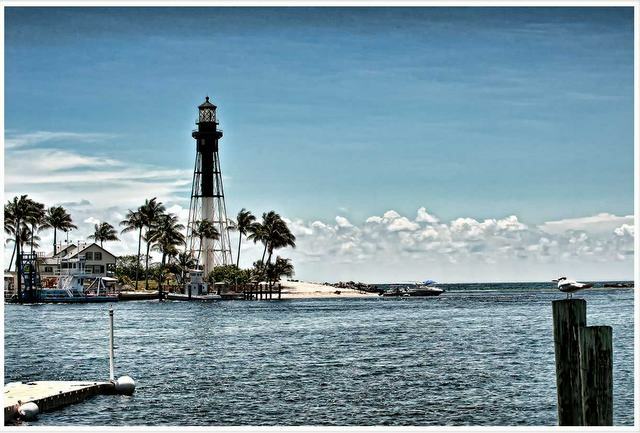 Southeast Florida is known for traffic congestion on the highways south of Jupiter Inlet through Palm Beach, Fort Lauderdale and Miami. You will not see much scenery or real towns if you stick to these super highways. You will see a lot of brakelights and stop and go traffic. The town signs you do see at the interstate exists are usually a few miles from the downtown section. This is definitely the place in Florida where it makes sense to get off the interstate and have fun on the less traveled roads. There are many state and county highways off the interstate that offer better scenery and a look at real towns. 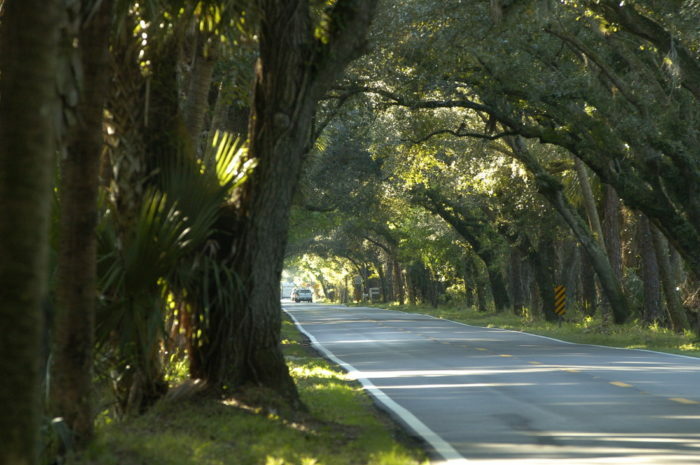 In Southeast Florida, most of these backroads are in urban areas. It is best to have a little inside information before getting off the super slab. 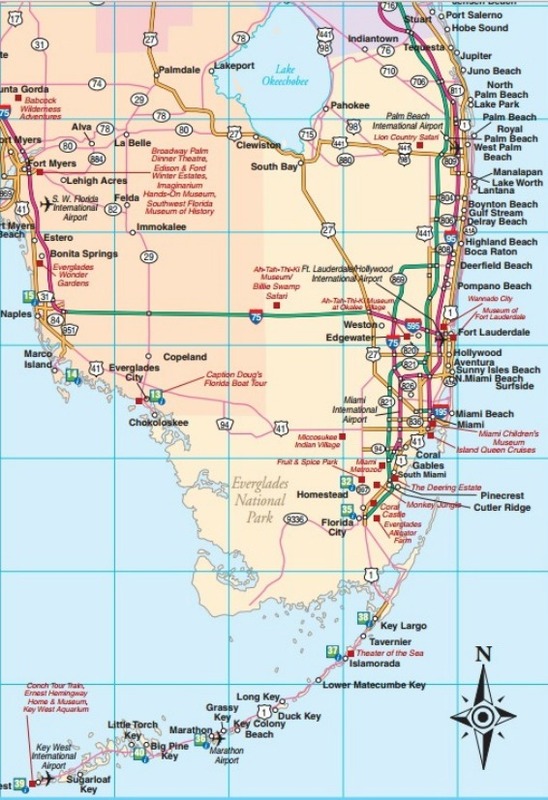 The maps below show a few Southeast Florida day trips that I recommend. 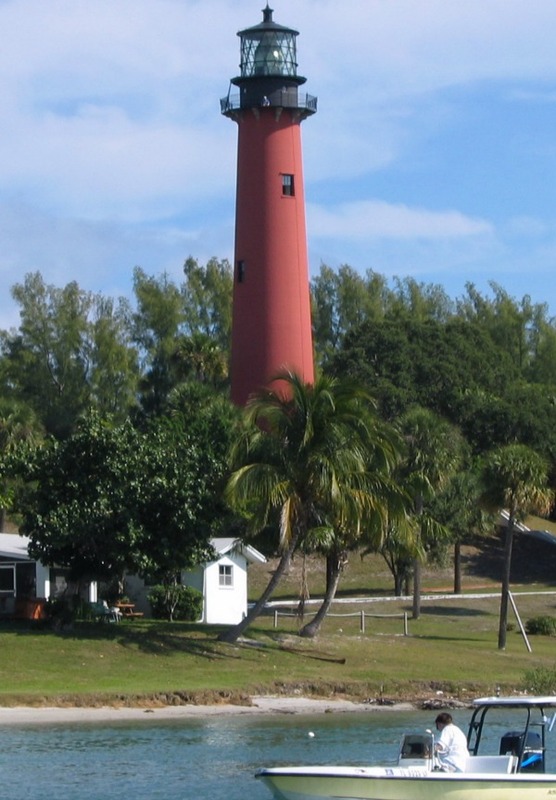 If you are more interested in places to go rather than the routes, see Miami Florida Day Trips. 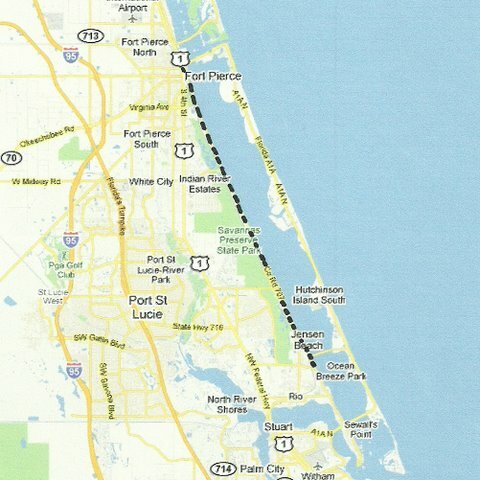 SR-707, Indian River Drive, along the west side of the Indian River from Fort Pierce south to Jensen Beach. Close to the beautiful river, gorgeous trees and fine old houses and historic places. This is one of my favorite Southeast Florida day trips. About 21 miles. 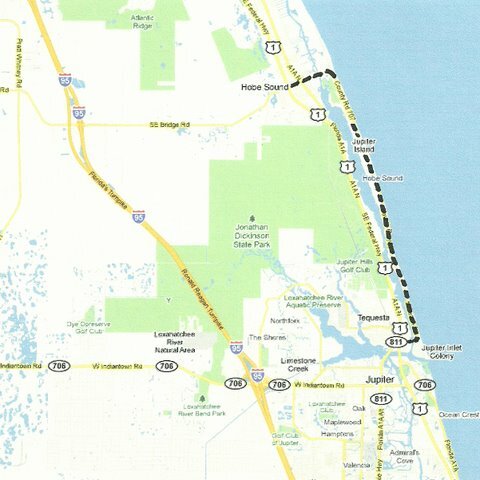 SR-707 from Hobe Sound south along Jupiter Island to Jupiter Inlet. Second only to Port Royal in Naples for expensive homes. Old money, great beaches but you will have a hard time finding public access. Enjoy from your car window. About 10 miles. 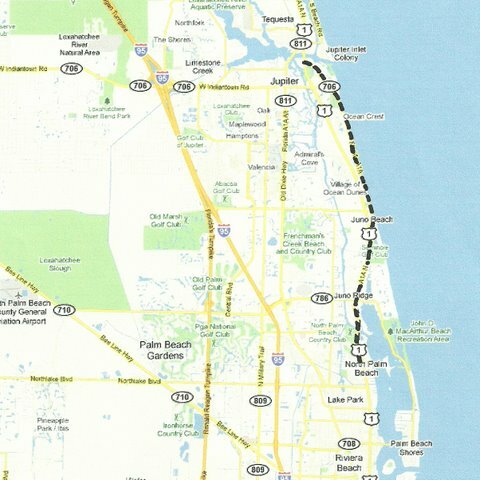 SR-A1A from Jupiter to North Palm Beach through Juno Beach. White sand dunes all covered with nice homes. Not too many years ago this land was rolling sand dunes with seagrapes and myrtles. About 10 miles. Royal Palm Boulevard from West Palm Beach to Palm Beach. Then north to Lake Worth Inlet. Mega-mansions, Rush Limbaugh, other rich and famous people. Beautiful landscaping. Rush may be newly rich, but most of the money in this town is hundreds of years old. 10 miles. 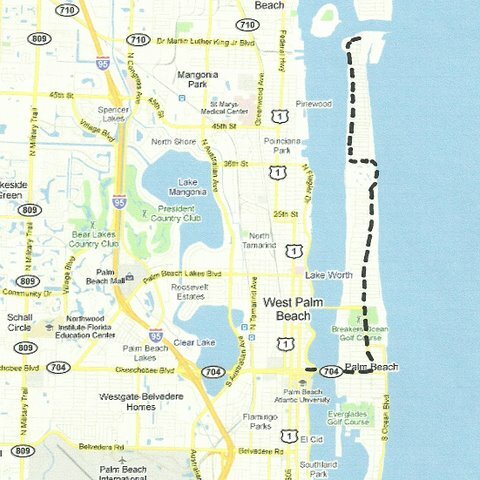 SR-A1A south from Royal Palm Boulevard in Palm Beach to Boynton Beach. 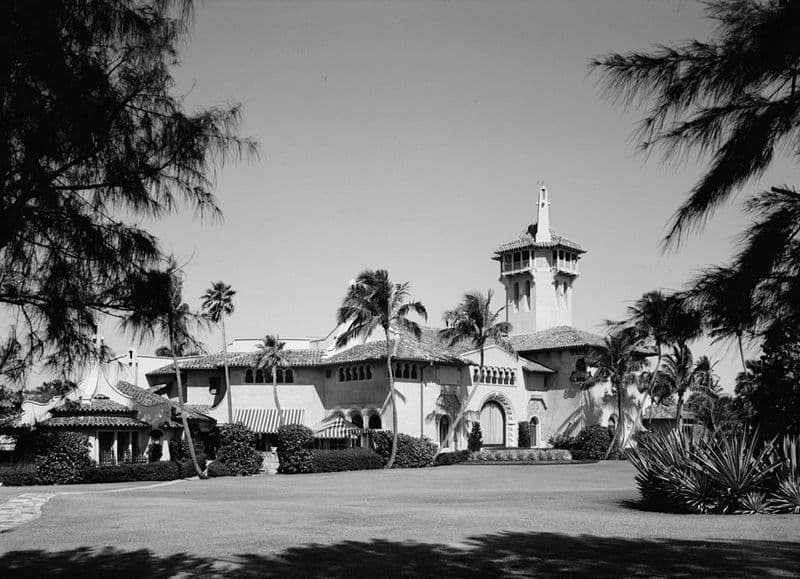 Just a fine beach road, sea grapes, fine homes, beautiful homes, Kennedys, Trump and Mar-A-Lago, etc. About 16 miles. 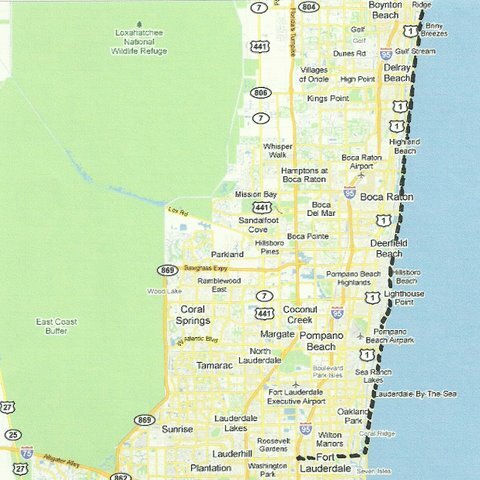 SR-A1A from Boynton Beach into Fort Lauderdale at US-1, through Delray Beach, Boca Raton, Deerfield Beach, Pompano Beach and Fort Lauderdale Beach. Magnificent ocean views and breezes. About 32 miles. 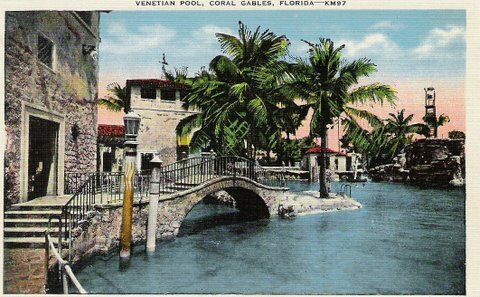 From Coconut Grove along Main Street and Ingraham Highway to Old Cutler Road in Coral Gables. South on Old Cutler Road to Goulds. Some of the finest banyan trees in the world. Botanical treasures, fine homes. About 15 miles. From Miami take US27 (Okeechobee Blvd in Hialeah) north to Clewiston. Just west of Clewiston take SR80 to LaBelle. In LaBelle, take SR29 north across the bridge to SR78 and turn west. 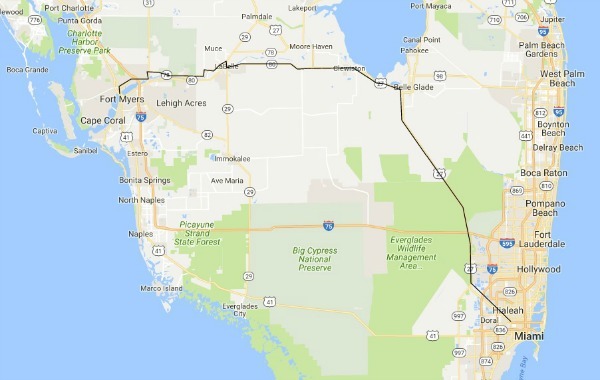 Take SR78 all the way into North Fort Myers and US-41 south into Fort Myers. About 157 miles. County Road 714, also known as Martin County Scenic Highway and Martin Grade is an arrow-straight scenic drive. 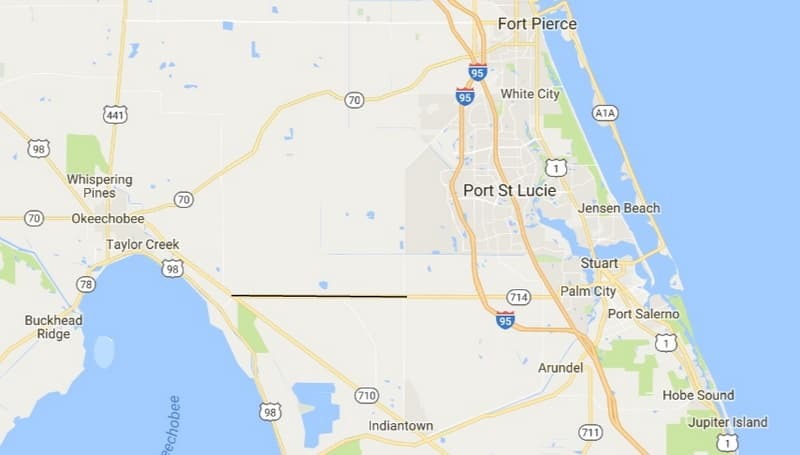 Take CR714 west out of Stuart and travel west to CR710 near the shore of Lake Okeechobee. 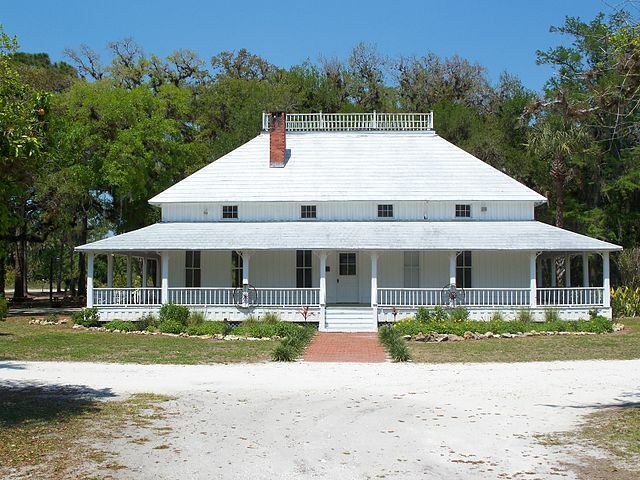 You will go through Old Florida ranch and farmland. The westernmost 12 mile stretch of this scenic drive has some of the nicest canopied roads in this south Florida.